Acupuncture for children can sound scary in the beginning before they realise what it actually is; a typical session has maybe only one or two needles and on some occasions no needles or skin penetration. A more applicable name would be acupressure as it involves pressing certain points of the body with fingers rather than needles. Paediatric acupuncture can be used on children as young as a few weeks old. Acupressure involves pressing, rubbing, stroking and tapping certain body parts to produce the required response through stimulation at the acupuncture points. A longer lasting process is taping a press sphere or seed, which is a small round ball, to stimulate the acupuncture point. What happens in a typical paediatric acupuncture session? Whilst the duration and frequency of a paediatric acupuncture session is dependent on the child’s age and health. An average session is typically very brief, lasting one to five minutes, an should occur several times a week until after the illness has dissipated or sometimes for longer to ensure the problem does not return. Typically, the older the child, the longer the session. Treatments are originally performed by a specialist, however parents can learn to perform the acupressure at home using, for instance, a silver teaspoon, between sessions with the acupuncturist. These at-home treatments have the ability to form stronger parent-child bonds, and as it is similar to a massage, can help to keep children calm and sometimes improve their sleeping habits. There is often a lot of talking with the parent before the session begins so it can be a good idea for the parent to bring a toy or favourite blanket, so the child doesn’t become bored before the session begins. This is also suggested to keep the child calm, especially if they have a fear of doctors or if they have had problems with needles in the past. As with anything that involves children, it must be ensured that the child is comfortable with the practitioner; it is important to not forget that it is the child who is the end-client, not the parent, and so it must be the child who makes the final decision on a practitioner. Please note, acupuncture and acupressure can provide short term improvement or relief for certain symptoms. 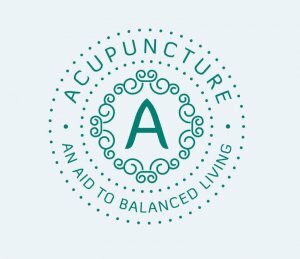 Paediatric acupuncture can be used for a range of problems, as it is a natural technique over 3,000 years old used to accelerate the body’s natural healing, without negative side effects and without depleting your chi. Some children find Acupuncture especially beneficial as their bodies and their systems are still in the yang phase of development, and so their chi, their energy, is constantly in flux and being consumed greatly, which can lead to health problems. Using these acupuncture techniques, along with massages given by parents, increase chi circulation, as well as being great for relaxation. Acupuncture That Works is proud to be able to offer help for children in this way at our clinics in Northwich and Chester. For more information please ring 0800 051 76 88.